We are the company that has produced an aviation maintenance training system for the airlines on the web. To learn more about our training system and what it can do for your company please click on the video window below. Cyber Systems has web based maintainence training programs to fulfill all your aviation maintenance training requirements. This is how our program works, after you have contacted us, we will call you back through your corporate operator. This verifies who we are conducting business with and eliminates the possiblility of providing access to people who shouldn't have it. At this time we will set up a user name and password specific to your company, so you can create login accounts for the various personnel you would like to train. At this point payment is made for the training of your personel via credit card. Each person you create an account for, will have access to our complete library of aircraft training programs for an entire year. Your employees will be able to log in and study each aircraft system individually by watching a training video on the web. Afterwards when they feel they are ready, they will take a quiz on the aircraft system they just studied. The quiz will be automatically graded and a report will be generated indicating the amount of time spent in study and the results of their quiz. This report will then be sent to your training department via e-mail for filing in the employees training record for presentation at an FAA audit. This training program is designed to conform with the requirements set by FAR Part 121.375, 135.433 and 145.163. The company doesn’t have to maintain a training department. No equipment, paper manuals to update, print and control. Paper manuals however are available upon request. Training department can consist of a secretary who files the e-mail notifications of the mechanics test results in the employees training record. No hiring of an instructor required, no payments for his hotel, food and transportation. Mechanics can log into the training web site and study as the company workload permits, or on their own time at home. No longer do you lose productivity by having mechanics in a class. The company receives a record of all time spent in training and the test score of the employee for each aircraft system. Mechanics have one years access to all aircraft training on all model aircraft available. Mechanics can review a training video as many times as they want during this time. Mechanics can pause or rewind the video if they wish. Mechanics can study at home on their own time if they choose to. Mechanics can train on a variety of aircraft which makes them a more knowledgable employee. Contact us today and we can be training your technicians today. Please Note: Due to security considerations our training is available to verified airline personnel only! 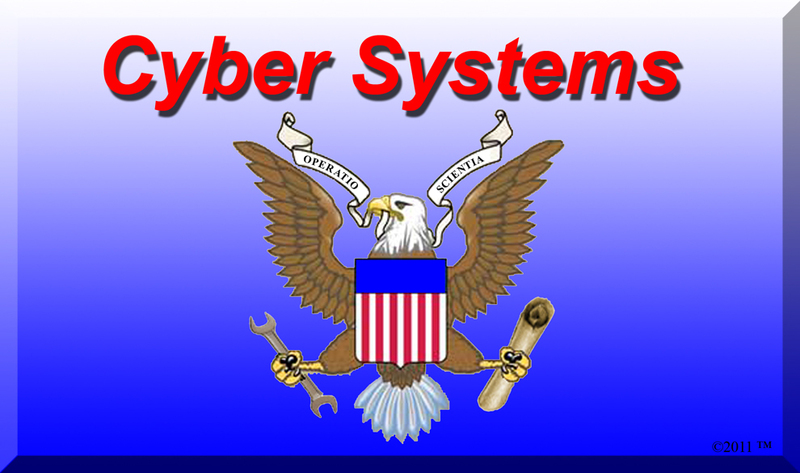 Cyber Systems also offers FAA approved General Maintenance Manuals for both large and small airlines and repair stations too! We also produce an economical, PC based Aircraft Maintenance Forecasting program for both Routine Overnight Maintenance, Heavy Maintenance and Airworthiness Directive tracking. To download our Aircraft Maintenance Forecasting program for the DC-9 in Excel please click on the following two files. Cyber Systems is pleased to announce the opening of its Legal Services Division, providing court transcript error reviews for criminal court trials originating in Arizona. For more information please click the Legal Services button at the left.